MARINA DEL REY, Calif. — The most recent data out of city hall shows a daunting cybercrime reality for the city of Los Angeles: each week there are approximately 2,200 successful cyber intrusions in the public and private sector combined, costing untold millions of dollars and exposing important data. The good news? It could be so much worse, according to Jeff Gorell, deputy mayor of the city of Los Angeles for Homeland Security and Public Safety. Thanks to the Los Angeles Cyber Lab — a year-old, first-of-its-kind, public-private partnership that protects critical infrastructure and helps businesses tackle cyberattacks in real time — approximately 4 million cyber breach attempts are blocked every day, with the lab’s Integrated Security Operations Center (ISOC) analyzing upwards of a billion security-related events each day. And while 2,200 successful breaches a week is still a daunting number, the LA Cyber Lab is improving every day, especially following an October award of a nearly $3 million from the Department of Homeland Security. 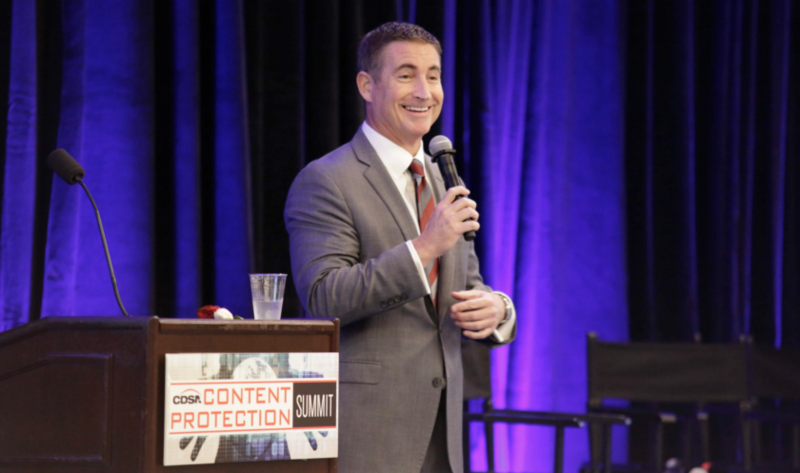 “It may seem like something we should have been doing years ago,” Gorell said Dec. 5, speaking at the annual Content Protection Summit, presented by the Content Delivery & Security Association (CDSA). “This isn’t just ones and zeroes, it’s medical information, voter information, air traffic control information. The non-profit organization — launched under mayor Eric Garcetti — aims promote education and information sharing between Los Angeles’ public and private sectors, including the latest cybersecurity threat data and intelligence gathered by the city and its partners. Along with developing policies and best practices for avoiding cyberthreats, the endeavor is expanding into training cybersecurity professionals. Additionally, the lab is creating an “Innovation Incubator,” making the lab and its data available to students, researchers and product developers. The biggest benefit for businesses, according to Gorell, is that companies that may be too small to have their own CISO (chief information security officer) now have anti-cybercrime resources they otherwise wouldn’t have. And they have it for free.